Mark Chappell assisted with this Nemo Memo. Deezer Elite and Deezer Premium Plus are the best streaming music services you have never heard or seen. Deezer is available in more countries than Spotify. 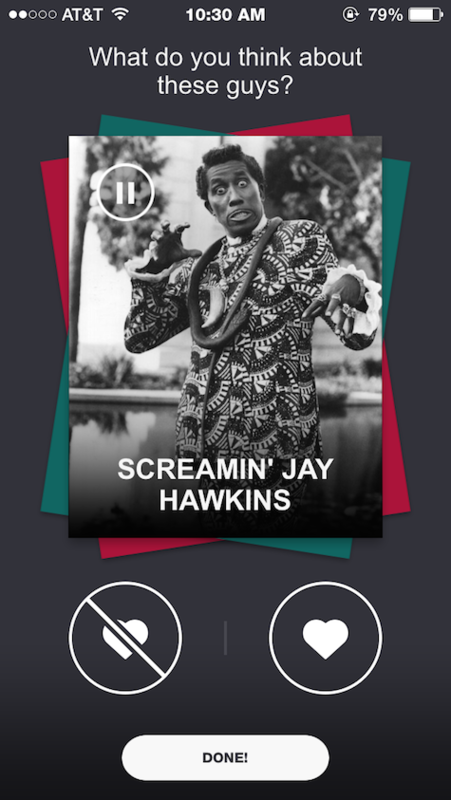 Deezer’s user interface experience is superior to Rhapsody. Deezer has a more comprehensive range of listening and sharing options than other services. Deezer Premium Plus’s like/dislike customization is better than Pandora. Deezer Elite’s tracks are equal in audio quality to Tidal. And Deezer is way more stable and mature than Apple Music. Deezer has more or less the same tens of millions of available tracks as the better-known services, plus direct access to your iPhone’s stored music and podcasts. Deezer Elite streams instantly at full-CD quality, while Premium Plus’s bitrate is an impressive 320kbps. App help is built in, and web site help is available here. They are both on demand, all you can consume, unlimited access services. Deezer is the eighth streaming audio app I’ve used. It is poised to replace my paid monthly RDIO subscription; I will decide once my trial usage period has finished. There is supposed to be a 30-day free trial for Deezer Elite in every country, but that information is not easy to find on the Internet. Here is a sample free trial offer. Sonos speakers and app are integral to Deezer Elite’s top quality audio experience. If you don’t own Sonos equipment, you can enjoy Deezer’s excellent Premium Plus as a standalone subscription or in conjunction with Bose gear. Deezer Elite offers unlimited access to high definition audio for use exclusively by Sonos users. In the U.S, the promotional price for Deezer Elite on Sonos is $9.99 a month for users who sign up for a full year of service; this is 50% off the regular price of $19.99 a month. Deezer Elite listeners can also sign up for $14.99/month, 25% off the regular price of $19.99 a month. Deezer Premium Plus delivers unlimited access on your phone, tablet, and computer without ads. Music fans in the U.S. can access the ad-free streaming music service for $4.99 a month through Bose SoundLink and SoundWave, 50% off the regular price of $9.99 a month. Most listeners will be satisfied with the Premium Plus plan and cost. Deep pocket aficionados and Sonos customers will find exceptional value in the Elite service. I am evaluating Deezer Elite with two Sonos speakers provided by the company. I have no prior experience with Sonos, or pre-existing opinion of their sound. Our evaluation is based on using Deezer Elite with an iPhone and Sonos Play:1 speakers. 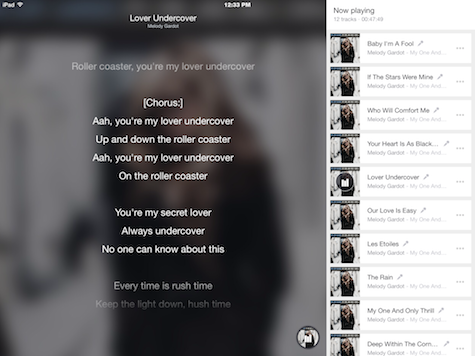 Other platforms and hardware also support Deezer, and the user experience is seamless. Downloading and setting up the music service and Sonos wireless audio apps is straightforward for people who are comfortable with many sequential steps. Once everything is up and running, you can use the Deezer app for standalone streaming via audio cable or AirPlay, or the Sonos app for automatic Wi-Fi listening with single or multiple speakers. The graphical user interface is different on the native Deezer app, compared to running Deezer within the Sonos environment. All your Deezer content is available when in Sonos mode, but you can’t tell Deezer you don’t like a selection, or display the song lyrics. Fewer of Deezer’s unusual and unpredictable Mixes are displayed up front when using Sonos; many are hidden within other categories. 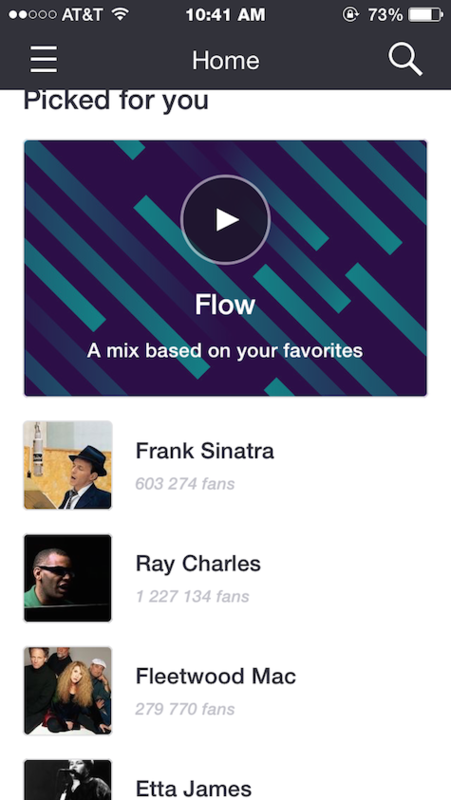 The Pandora-like Flow is available in both modes. Audio equalization (or EQ) is limited when streaming to a Sonos speaker, and this feature is buried several layers deep within Settings. A versatile and full-spectrum equalizer is handy dandy on the Deezer app. There are other major and minor differences, and fortunately for Sonos users the home grown Deezer app is always one tap away when Sonos streaming is not available or desired. With the Sonos app, multiple locations within your house or office Wi-Fi network can have individualized audio playing simultaneously. Sonos makes very good speakers that are affordable and built to a high quality. Our demo Play:1 speakers are small, classy-looking, and surprisingly heavy, having accurate and loud delivery without distortion at top volume. Sonos generously offers free shipping to many destinations, with a 45-day return policy and unlimited support. Pairs of AC-powered Sonos speakers can be configured for true stereo, placed in optimum spots without annoying audio cables. Sonos is an audio innovator that wants its users to enjoy every note heard. If its iOS app was as full-featured as Deezer’s own app the integration would be perfect. Sonos’ software is a walled garden with sentries at both the IN and OUT gates, because it needs to have a standard interface for multiple music services. Sonos’ promotional subsidy to subscribers is an enormous incentive to audition Deezer Elite and to save a load of money that can go a long way toward your speakers’ cost! Be aware that Sonos’ Play:1 is a purely digital speaker, with all audio content delivered via a Wi-Fi network. There is no AUX input or other cable connection possible. Do you have an itch to hear the original version of Leonard Cohen’s brain-numbingly dreadful Everybody Knows, or the remastered masterpiece Two Magicians by Steeleye Span, or listen to Riltons Vanner singing Kyss Mig Varm and wishing you knew Swedish, or experience the jaw-dropping percussion on Ferenc Snetberger’s Childhood? Deezer has them all, plus 35 million more. Deezer Elite subscribers can stream lossless FLAC (Free Lossless Audio Codec) files of 1,411 kbps or higher in any room or multiple rooms on Sonos speakers. Way to go, Deezer! It’s a gift to experience recordings played back at the same audio quality as the recording studio or live venue. MP3 and AAC sound is good at bitrates of 192 and higher, but they are no match for lossless audio at CD quality that is rare for streaming music services. I did a comparative test of identical RDIO and Deezer Elite tracks using the Sonos iPhone app and the Play:1 speakers. RDIO selections stream at up to 320kbps, and they sound good, but I heard the difference between compressed and uncompressed music. 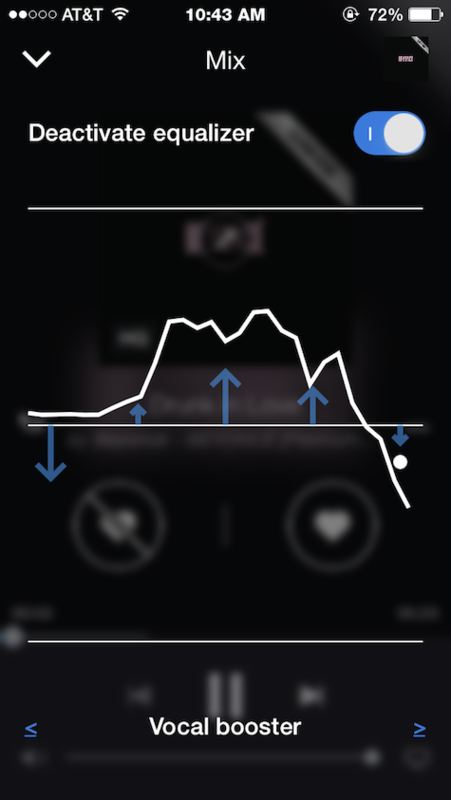 Deezer Elite’s playback is much smoother, without the peaks and valleys that are evident from compression. The bass has more integrity, and the treble is much cleaner. Last night I learned that my wife does not know the French-American standard, Autumn Leaves. I was shocked. On Deezer Elite I located Karrin Allyson’s beautiful performance with a small jazzy combo. I played it loud so Mrs. Nemo could hear it two rooms away. “That’s nice,” she said, underwhelmed. I listened again in the room with the speakers, surrounded by Sonos stereo from the pair of Play:1 at full volume. Wow. The super-quality audio experience is beyond my ability to describe it. What a sound! Sonos web online support is very good, with quick response. What is the audio stream quality bit rate when playing RDIO tracks via the Sonos iOS app to your amazing Play:1 speaker, please? The maximum bitrate for tracks being played on RDIO is currently 320 kbps. While not every track will play at the maximum bitrate, if the higher bitrate version is available it will play that. Your reference number for this incident is 15XXX4-ZZ1427. Greetings. Your Play:1 is outstanding. But there is no power button or way to put it into sleep or low power mode. How much power is it using when playing tracks, and how much power is it using when plugged in all the time but not being used for playback? Thanks. Thanks for contacting Sonos Customer Care, my name is Matt. Sonos components were designed to be left on. When Sonos is inactive – paused – for several minutes it will automatically enter a low power state. In this mode energy consumption will be reduced and the speakers will not stream data from online music services or local files. Waiting in this low power state allows us to resume audio playback as quickly as possible without the need to switch individual speakers back on. It would not be possible to provide a power figure for when the system is in use as this would be dependent on the song and volume. There are various plug adapters you can buy to monitor power usage if this is something you are interested in. Please let me know if you have any further questions, I’d be happy to help. Matt reminds me that toll-free phone help is offered, in addition to web form and FAQ information. Bravo, Sonos. There are online reviews for both Deezer music and Sonos speakers, when you want additional information. 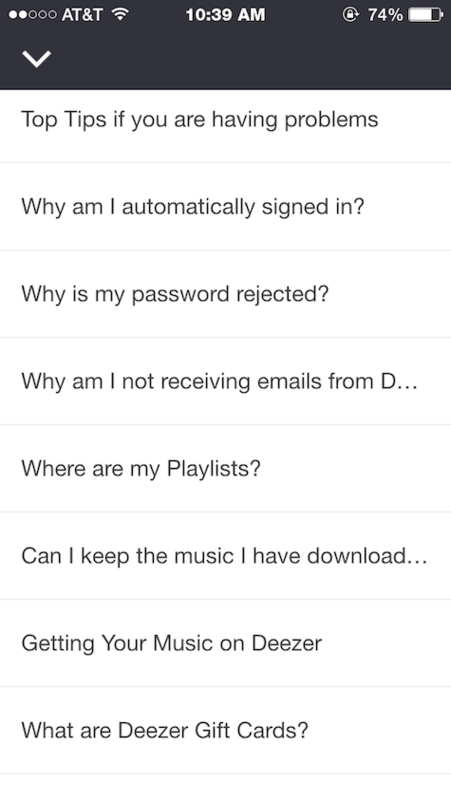 When deciding to subscribe to a music service, there are many factors to consider. The native Deezer app has unlimited dislikes and track skips. Hooray! Deezer’s EQ presets and custom equalization help listeners optimize the experience beautifully. Dynamic lyric displays are a joy. Deezer Elite on Sonos offer superior audio quality. The Play:1 speakers have impressive sound at an affordable price, with outstanding Wi-Fi wireless transmission. MyMac recommends Deezer Elite on Sonos and Deezer Premium Plus. They set a high standard for audio quality and user experience. Give them a try.